As far as leafy greens go, I'm most familiar with Romaine, red leaf, and spinach. It's a pretty limited repertoire of a pretty vital element of nutrition. Swiss chard, kale, mustard greens, beet tops, radish leaves, the whole range of lettuces, and any other green leafy vegetable are either completely foreign or mostly unfamiliar to me. But I'm really trying to remedy that. So I browsed a list of green leafies and resolved to pick up some kale. It sounded more appetizing than beet tops. After I stared at it in the fridge for a few days, I realized at some point I was going to have to do something with it, other than compost or chicken feed. 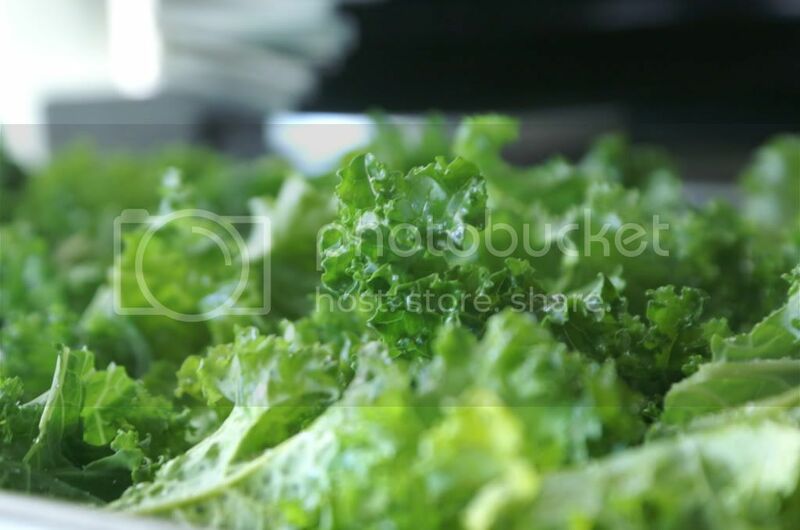 Below is a list of ideas for kale that will hopefully introduce you to the wild and wacky wonderful world of kale if you are (like me) uninitiated. I've now made several of these and can vouch for the fact that they're delicious. I'm a kale fan of epic proportions now. I mean, it's not chocolate hazlenut crêpe cake, but as far as leafy green vegetables go it's really tasty and adds bulk and nutrition to a lot of things I make anyway. It will make its way into my garden next year. Lemon Garlic Shrimp Scampi with Kale and Polenta -- I just made classic southern shrimp and grits with kale -- really good! 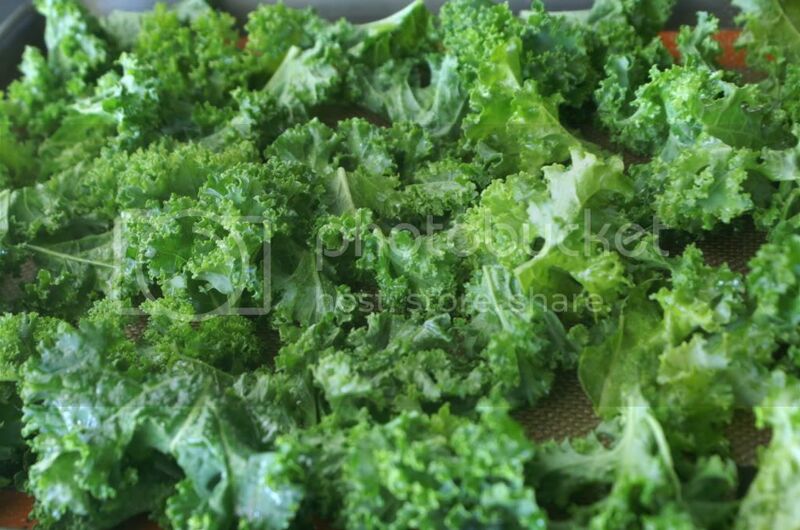 What's your favorite way to eat kale? I've also become rather fond of kale recently. My favorite recipe is Zuppa Toscana. I got the recipe from my sister-in-law, but there are many online as well. I tend to throw the kale into other soups too if it seems like they need some greens. I've been afraid to try the kale chips...but I'll have to give it a go. Oh thank you thank you thank you for this! I, too, am a newcomer to the delights of kale, and it now ranks among my favorite greens! But other than tossing it in soups or roasting it with olive oil and sea salt, I haven't really known what to do with it. So again, I thank you! Yuuuum. The kale chips were pretty addictive. They're not potato chips, no matter how hard people try to say they're just like 'em. The only similarity is salty crunchiness :)... but despite that, all three trays of them were consumed in two days so they were a hit. You're most welcome, Nadja! I made a Portuguese soup with kale and chorizo, but it was pretty gross so it didn't make it on the list -- but the part I liked about the soup was the kale! So yes, I agree that kale is REALLY good in soup :). Also, Kale Slaw (like cole slaw, except with kale instead of cabbage!) is also very tasty.... just shredded kale, some carrot shreds, and a little mayo and voila! I'm glad you shared this! My husband picked up some plants at the feed store a few weekends ago to go in our fall garden, and he accidentally grabbed 3 kale plants. I think he thought they were something else....oops! ;) Except, it said on the label that they are flowering kale, and non-edible...what is that?! I tasted it anyway, and it tasted kind of like broccoli. Do you think we could use it anyway??? Thank you for all the great ideas! I've tried kale chips before, but so far have mostly just stirred it into soups. Don't be afraid of quinoa, either. The trick is to soak it for a good 20-30 minutes before simmering, then it isn't too tough. 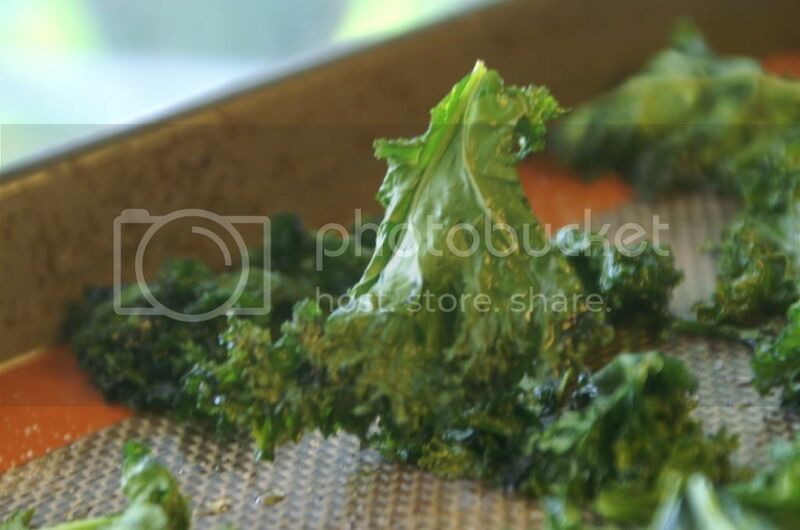 When you get brave and make the raw kale salad, be sure to "masticate" (with your hands not your teeth! )the kale to break it down a little bit. Raw kale is delicious and has more Vitamin C than its cousin, Spinach (not sure if they are really cousins, but it sounds good). I have a fabulous raw kale salad and the dressing uses almond butter - oh my mouth waters just thinking about this yum salad! Oh yum!! That recipe looks tasty :). How can I be craving kale slaw right now when I've never even had it? You've got mad skillz :-D.
Thanks for the encouragement, Sarah. That's excellent to know about the soaking -- I'm armed with a little bag of the stuff and will give it a go sometime soon :). Oh oh oh, good to know, Susan! I've seen "massaged kale salads" before and wondered why in the world I'd massage my kale, hehe. That makes sense. Recipe for your dressing, please!! Don't hold out on us ;) :-D.
Oh wow that looks great! I can't wait to try it, soon! Thank you, Susan. Kale makes a great cabbage substitute. I haven't tried it with corned beef, but it stir fries beautifully and tastes fabulous in egg rolls. I've also chopped it up and used it on veggie pizza with mushrooms, olives and garlic. Really? That's very good to now. I'm wondering now if my favorite cabbage rolls would work with kale? It's way easier to work with than cabbage :). I have a ton of rainbow chard -- I think I'm going to try the colcannon and the shrimp-n-grits ideas. Thanks! I've never eaten Swiss Chard and I feel deprived :). Rainbow chard looks SO pretty, so I might have to plant it next year for its aesthetic and then take a bite. This is the closest "recipe" I could find to what she does. http://www.cooks.com/rec/view/0,1750,153162-253195,00.html She doesn't put in bread crumbs and does add minced garlic to the egg,swiss chard and cheese mixture. :) It's soo yummy! Goodness, so simple but so good looking! Will put this on our menu plan soon :). Thank you! They are so good..even cold :) Let me know when you try it!